The ARI "FABA" is reliably sealed, even under the most adverse conditions. 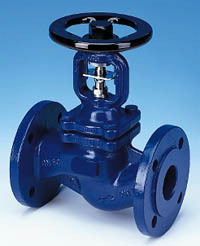 The bellows-type valve is maintenance-free and like all ARI valves - is classed leak rate 1 in accordance with DIN 3230T3. Ari Valve Corp., 1735 Sands Place SE, Marietta, GA 30067. Tel: 800-661-3338; Fax: 770-933-8846.